Welcome to The Tax Lady! 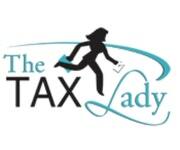 The Tax Lady is a Houston Texas Tax firm specializing in the delivery of high quality, professional tax and business consulting services for US taxpayers in Houston and beyond. We help our clients minimize tax liabilities, maximize operations, preserve their wealth, and have the peace of mind they deserve. If you dread taxes, have tax problems, or need sound tax advice and guidance on how to reduce your taxes, we have the tax knowledge to explain how changes in the tax code impact your tax situation and the expertise and experience to quickly, accurately, and efficiently prepare your corporate, non-profit, s-corp, partnership, estate, and personal tax returns for federal, state, and local tax agencies. We prepare income tax, employment tax, sales and use tax, franchise taxes, excise taxes, transfer tax, and property tax returns for our clients. Our Business Support Services Are Exceptional. Your business is in good hands with us. We provide accurate and timely accounting, bookkeeping, and payroll services to ensure that our customers operate at maximum potential and can focus on the tasks to help their businesses grow. We also offer support in all areas of business consulting and routinely assist startups and mature business enterprises with formation and structuring of new companies, business planning, and more. Schedule an appointment for a consultation or book your tax appointment today and rest easy tomorrow! Behind every client interaction is friendly, professional and personalized customer service.